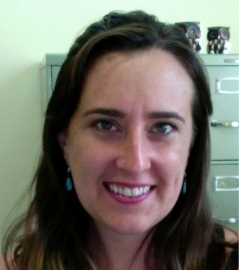 Meghan Armstrong is Assistant Professor of Hispanic Linguistics at UMass Amherst. She has worked extensively on intonational meaning in Spanish, English and Catalan in both adult and child speech. Her recent work focuses on intonation’s role in conveying and perceiving mental states. She is also interested in how individuals with Autism Spectrum Disorder produce and perceive mental state intonation. Professor Armstrong came to UMass Amherst in 2013, and is a native of Western New England. She received her Ph.D. from The Ohio State University in Columbus, Ohio in 2012. Meghan spent the last two years of her doctoral work at the Universitat Pompeu Fabra in Barcelona, Spain, where she is a member of the Grup d’Estudis de Prosòdia (Prosodic Studies Group). She has also spent time doing research in Puerto Rico. Professor Armstrong is active in community-engaged activities at UMass. She participated in the UMass Office for Civic Engagement and Service Learning’s Faculty Fellows program in 2014 and has projects with community partners in both Holyoke and Springfield. She is dedicated to working with community partners regarding the importance of non-standard dialects of Spanish and English in urban areas in Western New England such as Holyoke and Springfield. She teaches a community-engaged course focused on the varieties of Spanish spoken in Massachusetts, as well as the varieties of English spoken by Hispanics in the region. Professor Armstrong’s most recent funded project included a study on the use of intonation by Hispanic mothers and their children in urban centers in Western Mass. "Accounting for intonational form and function in Puerto Rican Spanish polar questions"
"Children’s processing of morphosyntactic and prosodic cues in overriding context-based hypotheses: an eyetracking study"
"Child comprehension of intonationally-encoded disbelief"
"The acquisition of multimodal cues to disbelief"